So my blog has been running for about 18 months now, but the start of 2016 was the start of me deciding that I wanted to make improvements to my stats and blog, and I know I know - it isn't about the numbers.... but it kind of is, if you don't have the numbers, no one is reading, no one can see it, so as long as you are enjoying yourself and loving your content... there is no reason why you cannot enjoy the numbers too. So here is my numbers for the past year, my original goal set - and new ones for 2017. Bloglovin' is SO hard to build, I have really been focusing on it a lot this year. I did a full post on it here, but I think it has really paid off. I really fell out of love with IG this year, with their new Algorithm and then Insta Stories it just drove me completely bonkers for the first 8 months, I stopped checking it or caring for a while, posting to maintain but just not feeling it as much as what I would typically. But since October I have been loving it again, realising why I loved it to begin with. I really hope to grow it quite a lot in 2017... now that I have my K on BL I really want it on IG too! So yeah another one I didn't hit target on! This one really suffered when I started college back in September, I just didn't take the time on it that it needed. I have been getting back into the swing of it all though, so looking forward to taking part in more twitter chats this year and fingers crossed reaching my target! Page views have shown the biggest growth for my blog. It has been really amazing watching by blog grow and see people like it - so thank you to anyone who takes the time to read it.... it really does mean a lot to me! This year has given me some of the most incredible opportunities to work with some amazing brands, Spectrum, Vichy, Boots, Seventeen... honestly so many, and some incredible ones to come too! My top posts are simply down to google. Google seem to rank me quite highly on Jeffree Star posts, and they appear on the first page of google when you type in "Jeffree Star UK Delivery" and to be completely honest I have ZERO clue how I managed it, none at all... so would love to figure that one out lol. 2017 Goal: Learn SEO Techniques. My main goal always with MakeErinOver is to enjoy myself and make friends. I love having a blog, I love the community and it really is an honour to be a part of it all. I just want to continue the journey and still love it as much as I do just now. Fingers crossed for 2017! Oh and HAPPY NEW YEAR! Hope this one is better than 2016! :) Let me know in the comments below your goals for 2017! Wonderful blog stats. I have the same goal for my blog. That's my main one on top of having a few extras. It's so important to focus on the joy of blogging and not get side tracked with numbers or comparing one's blog to others. Great post! I'm so happy for you! You did a great job with your blog and achieved amazing numbers! You should be proud of yourself. Well done, you achieved so much in 2016! Wow great post and congrats on making your goals! Following you on Bloglovin' and always like reading your posts :) I am trying to increase my following so much but Bloglovin' seems to be the hardest. Having your main goal to keep enjoying yourself is effing FABULOUS. It's so easy to get bogged down in stats that you forget the reason why you started! 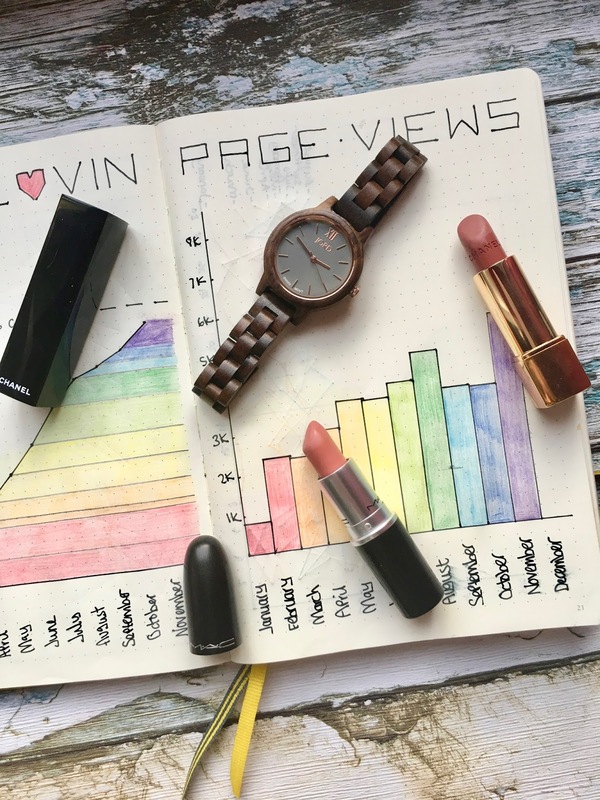 Looks like you've had an amazing year for your blog though, some amazing stats here girlie - well done! Wow, you did great in 2016! Congratulations! I'm pretty sure you'll reach your goals again this year, since you seem so determined and strong. I love what you've achieved in 2016 lovely! I know you didn't achieve your Instagram and Twitter goals, but you were close! Those can be hard platforms to increase. I wish you all the best for 2017 though, I can not wait to see where it takes youu. The growth on your Bloglovin account is amazing! I'd really like to hit 1k by Summer. I really wish Instagram would do an experiment where they'd let people decide whether to use the Algorithm or not. And then maybe change it back if enough people didn't use it or just let people have the choice! !